Six stage phaser (five variable & one fixed stage) design inspired by a classic 1970s foot pedal although I have changed it quite a bit. 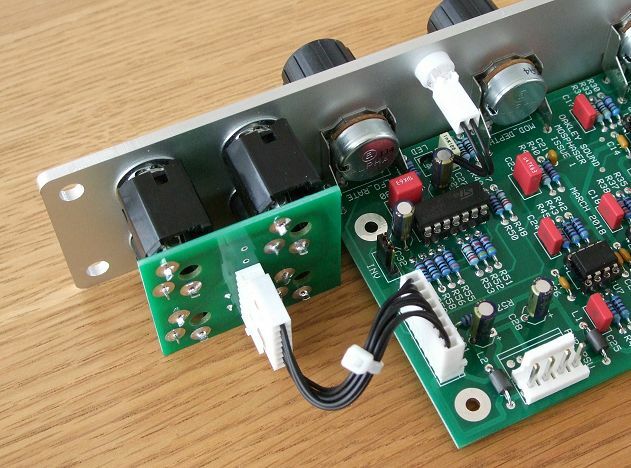 Uses a CMOS 4009UBE hex invertor as a voltage controlled element so no need to match FETs. 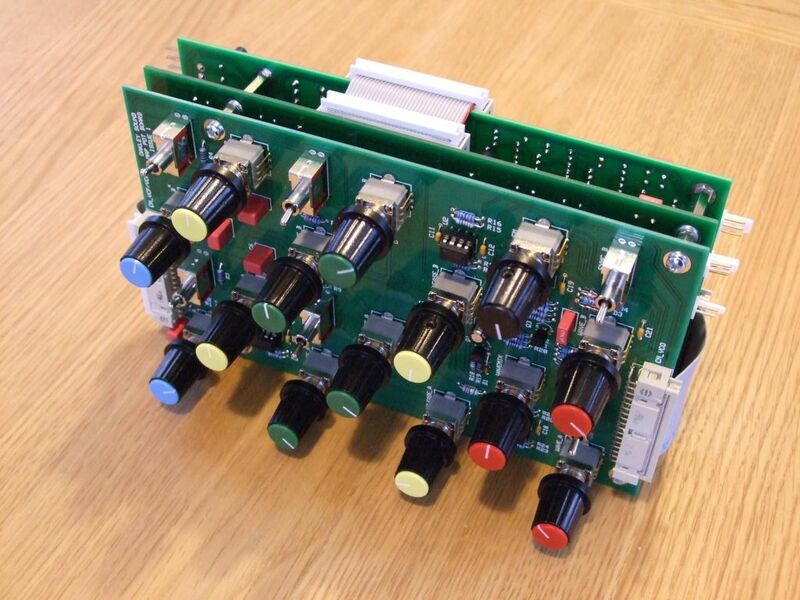 The panel design is identical to the current Equinoxe module - four pots, one LED and four sockets. Built in LFO and a CV input. Webpage, pictures and sound samples to follow. Boards and documentation should be ready before the end of this week. Does it sound different to the Equinoxe? Yes. The feedback pathways are completely different, there's six stages and the variable all pass elements use a MOSFET rather than an OTA. The latter meaning that distortion characteristics are different - the MOSPhaser being less polite. Is it easy to build? Yes. One trimmer to set up and requires a voltmeter only. All standard through hole parts. Web page up. Documentation to follow - probably Friday. But you can order boards now if you wish. Great to see a new module, the samples sound good, and as you say, different from the Equinoxe. I'm just finishing off making the last batch of modules I purchased so will shortly be looking for some new additions. I notice you've said it's easy to build, I've enjoyed the experience of making the more challenging modules and would be happy to try my hand at any others that may come along. Anything else in the offing? Anything else in the offing? The next project to be completed will be the ADR30 which is a half rack analogue delay module. It's actually part of the 'mysterious audio plaything' project's middle section but I wanted to try it out as a standalone project before committing it to the MAP's more complex board designs. MAP's dual voice section is complete and works well. It's a three board sandwich but if it proves popular I may redesign for SMD and reduce it to two PCBs. 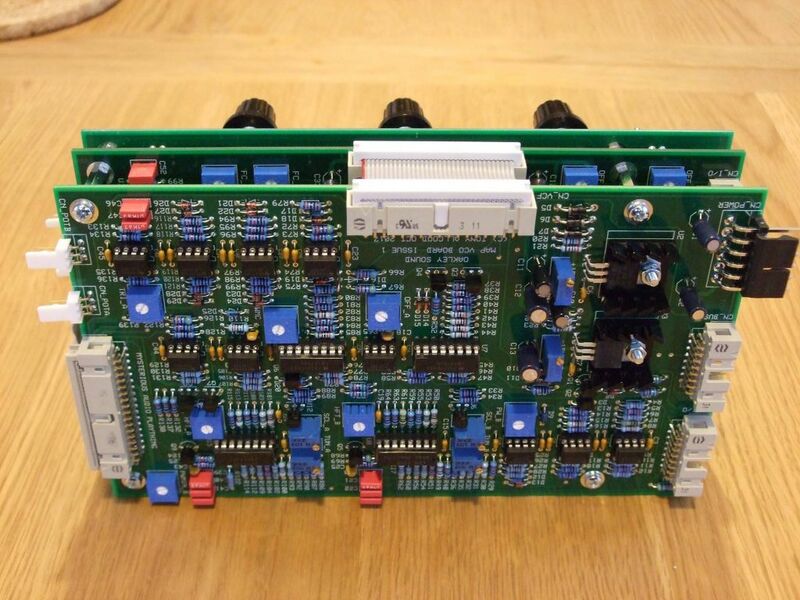 There is a possibility that the complex VCO design will make it into a 5U module but I'm not sure yet. Tha phaser sounds great and indeed looks like an easy build! Really good to hear there are further projects in the pipeline. I'm more curious than ever now you've published some pictures to know more about the MAP project, is there more you can tell us? Ooh this sounds great. I’m thinking about modular round 3 (21U-30U) and was planning the deep equinoxe but I like the sound of this one more. I’m sure many people will be interested in the differences, how do they compare? I'm more curious than ever now you've published some pictures to know more about the MAP project, is there more you can tell us? Not yet. But once I get the middle section designed I'll be able to let people know a little more. I’m sure many people will be interested in the differences, how do they compare? It's really difficult to say and I don't have an Equinoxe here to do a direct AB test. It may be a bit like trying to compare a Moog ladder with a Roland cascade - they're both filters but both sound different enough to tell them apart. I think we'll probably have to wait and see what people who have both make of them. Webpage updated and Builder's Guide uploaded. Just wow, you get an order very soon. Indeed, wow! both/all things look/sounds very interesting (in text at least). will have to listen to the audio when i get a moment. Phaser looks like an easy build too. still need to find a minute to sort out the flanger, never got it working. ill have a look and maybe post a query if i get stuck. Tiny error in the build docs: U8 is of course a TL074, not a TL072. Thank you for letting me know. I've just uploaded a corrected version.